We ditched the usual guyliner and undead, drug-addled vampire look, if only just this once. It was time. Even though my fashion interests span across the board, people usually refer to this as a goth blog (and I’ve made peace with it), so that’s a clear indication that I haven’t been giving other styles enough love. It was about time to get some punk/greaser style up in here. My model, Mike Kwolek, brought a sleek wardrobe to the table, with a couple pieces I admitted I wanted to steal for myself (the creepers, definitely the creepers). 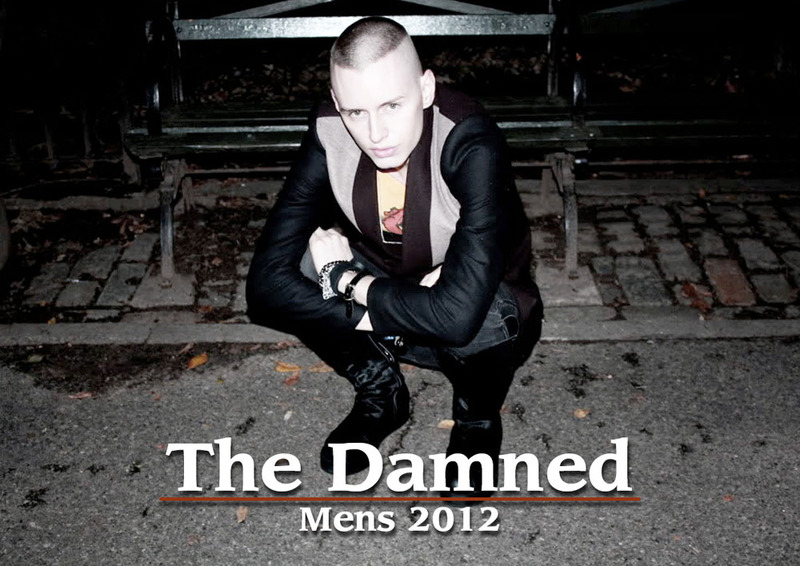 I love Jeffrey Campbell’s designs in his recent mens footwear collections, but what I really want to focus on is the fact that his lookbook, “The Damned,” is my absolute favorite lookbook so far this year. It’s not over-the-top, not overdone with fancy photo-editing effects, and some of the shots are a bit blurred and unclear–all of which helps to convey the youthful, carefree punk attitude that complements the collection.